Solubility: Miscible with acetone, chloroform, glacial acetic acid, petroleum ether, ether and benzene. Description: It appears as colorless fuming liquid with a strong odor and eye irritation effect. The relative density of 1.1051 (20 ° C), the melting point of-112 ° C, the boiling point of 51-52 ° C and the flash point is 4.4 ° C (closed dish). In the wet air, it can slowly undergo decomposition and give white smoke. When coming across water, it can be violently hydrolyzed into acetic acid and hydrogen chloride, and thus should be sealed for storage. 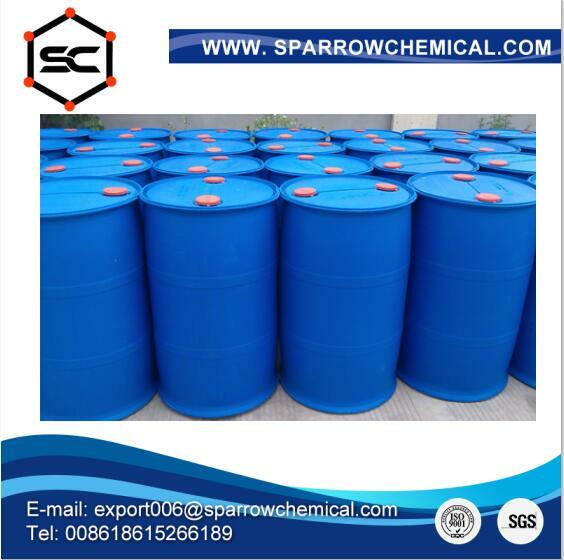 It is miscible with benzene, acetone, chloroform, ether, glacial acetic acid and petroleum ether. Liquid is heavier than water with the vapor being heavier than air. Dangerous situation: (1) It has corrosive effect against the skin and mucous membranes with strong irritant effect on the eyes. (2) It is easily flammable with the burning point being390 ℃and a greater risk of combustion. Its vapor can form an explosive mixture with air with the explosion limit remaining not be determined. Since the vapor is heavier than air, it can spread to a considerable distance and cause ignition of a source of fire and further propagate the flame back. It can have violent reaction when coming across water and alcohol. When being heated to decomposition, it can release HCl and highly toxic phosgene gas.